Reliable Dry & Steam Carpet Cleaning Company Northolt UB4 | RDA Cleaning & Maintenance Ltd.
A carpet usually occupies a central place in every house or apartment. So whether it is your working or living space you need give your best efforts to maintain your carpets in a top condition. Hiring expert carpet cleaners is a good step to begin with. And if you want to save yourself some time and money, you better book our professional carpet cleaning service in Northolt UB4. Here is our emergency number 020 3404 1646. As a reliable home or office carpet cleaning company in Northolt UB4, we will react quickly and provide you the quality service you deserve. Our professional carpet cleaners in Northolt UB4 can work with a wide range of carpet fibers and materials, both natural and synthetic and even blends. We can safely clean: wool, sisal, cotton, silk, Kashmir, Persian, Indian and any synthetic type out there. To ensure your safety and the best results possible, we keep a high standard of home & business carpet cleaning Northolt UB4 and a good work ethic for all of our cleaners. It is mandatory that they pass 3 months training by Prochem on steam & dry carpet cleaning methods, machine and detergent use. During their first 6 months with us they are accompanied with a senior cleaner who would show them all it needs to become a cleaning expert. Once the job is carried out, they would give you free maintenance advice. 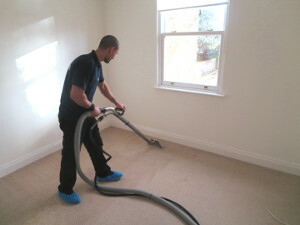 Hire Us For An Expert Carpet Cleaning In Northolt UB4 Now ! Reserve our efficient carpet cleaning service in Northolt UB4 and have your carpet fully cleaned today. Call 020 3404 1646 or get a free online quote. No deposit required. Also, if you book another service simultaneously you can get a discount of up to 20%!